AUD 19,542 Excl. Duties / Taxes. This Emerald diamond is 3.37 carat in weight, and comes with Excellent polish and Very Good symmetry, as verified from an independent gemological laboratory. The diamond is graded S in colour, and has a clarity grade of VS2. The diamond's GIA grading report number is 2201070830, which will detail further its specifications and measurements, and will also come with the purchase of the stone. AUD 7,140 Excl. Duties / Taxes. This Emerald diamond is 1.57 carat in weight, and comes with Very Good polish and Good symmetry, as verified from an independent gemological laboratory. The diamond is graded S in colour, and has a clarity grade of SI1. The diamond's GIA grading report number is 7293482657, which will detail further its specifications and measurements, and will also come with the purchase of the stone. This Sq. Emerald diamond is 3 carat in weight, and comes with Excellent polish and Very Good symmetry, as verified from an independent gemological laboratory. The diamond is graded S in colour, and has a clarity grade of VS2. The diamond's GIA grading report number is 2287637283, which will detail further its specifications and measurements, and will also come with the purchase of the stone. AUD 3,575 Excl. Duties / Taxes. This Emerald diamond is 0.92 carat in weight, and comes with Very Good polish and Good symmetry, as verified from an independent gemological laboratory. 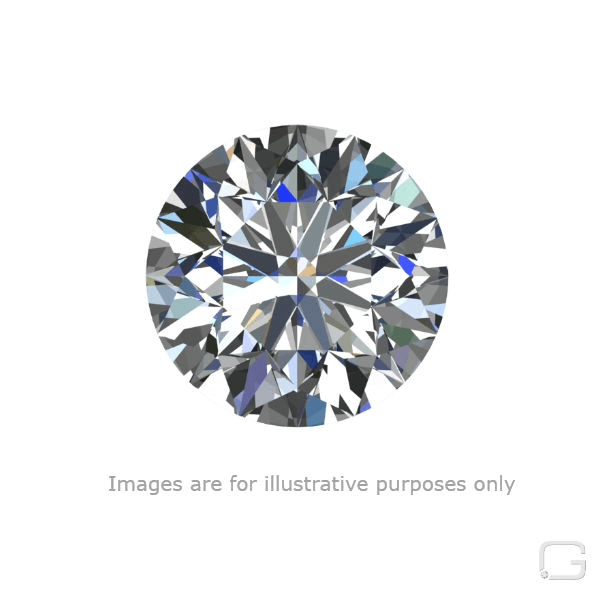 The diamond is graded P in colour, and has a clarity grade of VVS1. The diamond's GIA grading report number is 6167496772, which will detail further its specifications and measurements, and will also come with the purchase of the stone. AUD 11,598 Excl. Duties / Taxes. This Emerald diamond is 2.03 carat in weight, and comes with Excellent polish and Excellent symmetry, as verified from an independent gemological laboratory. The diamond is graded Q in colour, and has a clarity grade of VS1. The diamond's GIA grading report number is 2171863985, which will detail further its specifications and measurements, and will also come with the purchase of the stone. This Emerald diamond is 3.01 carat in weight, and comes with Excellent polish and Very Good symmetry, as verified from an independent gemological laboratory. The diamond is graded O in colour, and has a clarity grade of VS2. The diamond's GIA grading report number is 2173948467, which will detail further its specifications and measurements, and will also come with the purchase of the stone. AUD 3,761 Excl. Duties / Taxes. This Emerald diamond is 1.42 carat in weight, and comes with Very Good polish and Good symmetry, as verified from an independent gemological laboratory. The diamond is graded W in colour, and has a clarity grade of SI2. The diamond's GIA grading report number is 1179153427, which will detail further its specifications and measurements, and will also come with the purchase of the stone. AUD 32,647 Excl. Duties / Taxes. This Emerald diamond is 3.5 carat in weight, and comes with Excellent polish and Excellent symmetry, as verified from an independent gemological laboratory. 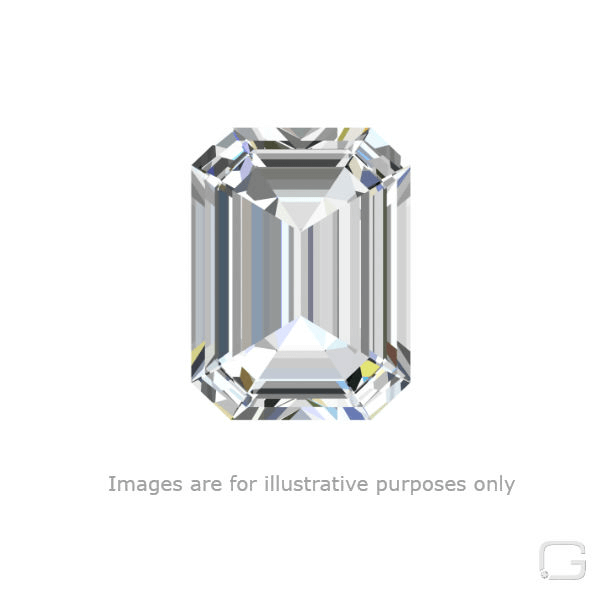 The diamond is graded W in colour, and has a clarity grade of VVS1. The diamond's GIA grading report number is 2173273488, which will detail further its specifications and measurements, and will also come with the purchase of the stone. This Emerald diamond is 1.14 carat in weight, and comes with Very Good polish and Good symmetry, as verified from an independent gemological laboratory. The diamond is graded S in colour, and has a clarity grade of VS1. The diamond's GIA grading report number is 6285182782, which will detail further its specifications and measurements, and will also come with the purchase of the stone. AUD 15,983 Excl. Duties / Taxes. This Emerald diamond is 2.87 carat in weight, and comes with Good polish and Good symmetry, as verified from an independent gemological laboratory. The diamond is graded R in colour, and has a clarity grade of VS1. The diamond's GIA grading report number is 5101235868, which will detail further its specifications and measurements, and will also come with the purchase of the stone. This Emerald diamond is 1.71 carat in weight, and comes with Excellent polish and Very Good symmetry, as verified from an independent gemological laboratory. The diamond is graded O in colour, and has a clarity grade of SI2. The diamond's GIA grading report number is 1207911246, which will detail further its specifications and measurements, and will also come with the purchase of the stone. AUD 12,410 Excl. Duties / Taxes. This Sq. Emerald diamond is 2.96 carat in weight, and comes with Very Good polish and Very Good symmetry, as verified from an independent gemological laboratory. The diamond is graded S in colour, and has a clarity grade of VVS2. The diamond's GIA grading report number is 3285637348, which will detail further its specifications and measurements, and will also come with the purchase of the stone. AUD 35,829 Excl. Duties / Taxes. This Sq. Emerald diamond is 5.02 carat in weight, and comes with Excellent polish and Excellent symmetry, as verified from an independent gemological laboratory. The diamond is graded S in colour, and has a clarity grade of VVS2. The diamond's GIA grading report number is 1182002796, which will detail further its specifications and measurements, and will also come with the purchase of the stone. AUD 91,314 Excl. Duties / Taxes. This Sq. Emerald diamond is 8.51 carat in weight, and comes with Excellent polish and Excellent symmetry, as verified from an independent gemological laboratory. The diamond is graded S in colour, and has a clarity grade of VVS2. The diamond's GIA grading report number is 6197579282, which will detail further its specifications and measurements, and will also come with the purchase of the stone. AUD 90,478 Excl. Duties / Taxes. This Emerald diamond is 9.08 carat in weight, and comes with Excellent polish and Good symmetry, as verified from an independent gemological laboratory. The diamond is graded W in colour, and has a clarity grade of VS1. The diamond's GIA grading report number is 6193839990, which will detail further its specifications and measurements, and will also come with the purchase of the stone. AUD 27,466 Excl. Duties / Taxes. This Sq. Emerald diamond is 4.82 carat in weight, and comes with Excellent polish and Very Good symmetry, as verified from an independent gemological laboratory. The diamond is graded U in colour, and has a clarity grade of VVS1. The diamond's GIA grading report number is 2286741343, which will detail further its specifications and measurements, and will also come with the purchase of the stone. AUD 36,140 Excl. Duties / Taxes. This Emerald diamond is 5.01 carat in weight, and comes with Very Good polish and Very Good symmetry, as verified from an independent gemological laboratory. The diamond is graded Y in colour, and has a clarity grade of VS1. The diamond's GIA grading report number is 6197054796, which will detail further its specifications and measurements, and will also come with the purchase of the stone. This Emerald diamond is 0.45 carat in weight, and comes with Good polish and Good symmetry, as verified from an independent gemological laboratory. The diamond is graded Q in colour, and has a clarity grade of SI1. The diamond's GIA grading report number is 1156065146, which will detail further its specifications and measurements, and will also come with the purchase of the stone. AUD 90,379 Excl. Duties / Taxes. This Emerald diamond is 9.07 carat in weight, and comes with Good polish and Good symmetry, as verified from an independent gemological laboratory. The diamond is graded U in colour, and has a clarity grade of VS1. The diamond's IGI grading report number is 350807357, which will detail further its specifications and measurements, and will also come with the purchase of the stone.